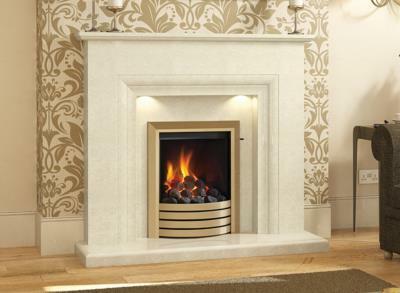 Imagine brushing your hand across the surround and suddenly your fireplace and hearth is bathed in light. Every natural detail of the marble is brought to life and your whole room gains soft background illumination. You've just triggered the sensor that turns on the Smartsense lighting concealed in the top recess.